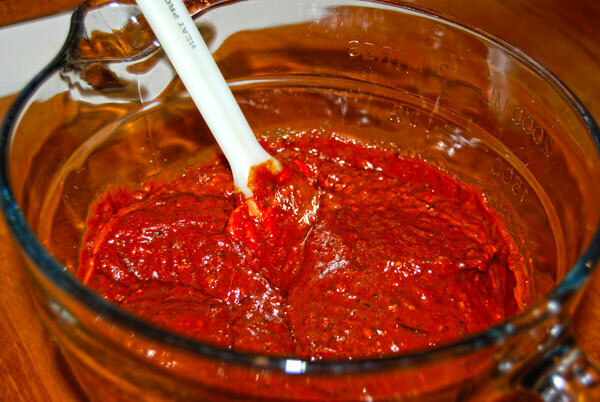 I have made tomato paste before and it was delicious, however, I don’t actually enjoy breaking out the food mill ! Here is an adaptation that will use up the rest of your crop, AND, eliminate the fruit flies from the kitchen (they were out of control this year). 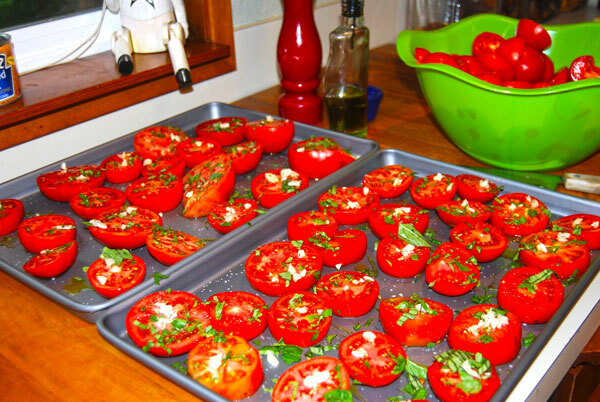 Cut tomatoes in half. Thirds if they are extra large. 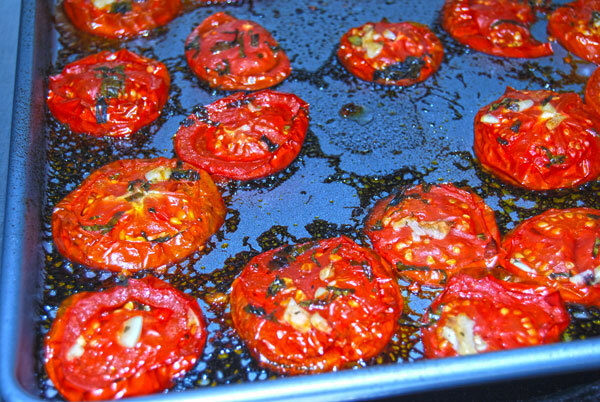 Arrange on a non reactive baking sheet (the acid in the tomatoes will etch your aluminum pans). Drizzle generously with olive oil, and season with Kosher salt and cracked black pepper. Sprinkle with chopped basil (mine was fresh, but you can use dried), as well as minced garlic. Roast at 325 F for 1.5 to 2 hours, until they are shriveled up, and there is no juice in the pan. Don’t mind the dark burnt looking “stuff” on the bottom of the pan….it adds tremendous flavor to the paste. 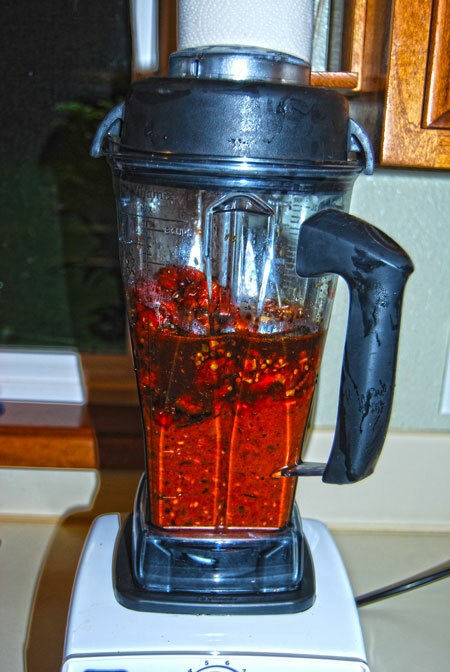 Transfer to a blender, and puree until smooth. 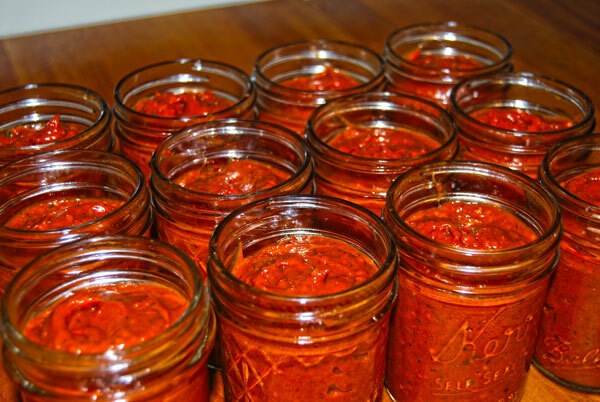 I store my paste in small canning jars, and freeze. 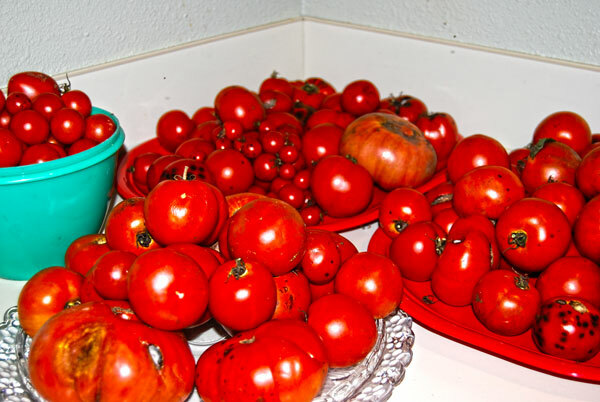 Love seeing so many delicious and juicy tomatoes, you’re fortunate to have such a great crop…tomato paste can turn up the volume on any vegetable or meat! Thanks Peri ! 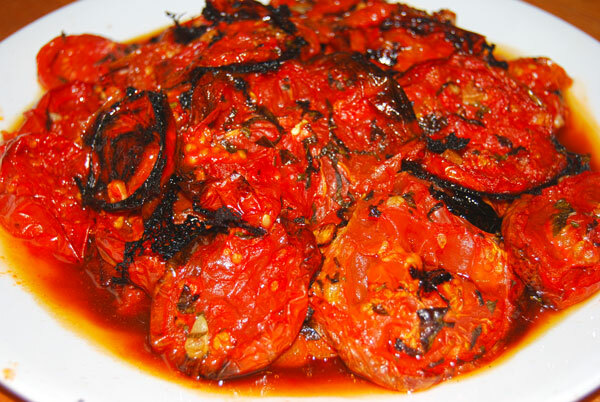 I especially love tomato paste is soups and stews as well as chicken cacciatore. Looks wonderful and easy! Thanks for sharing!